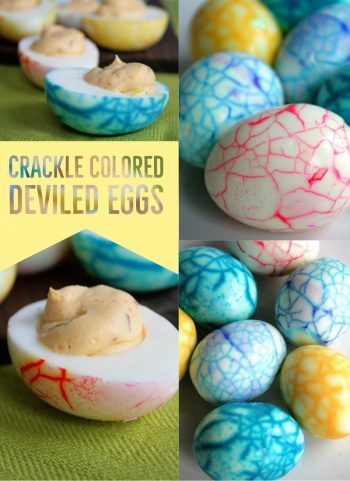 I posted this fun crackle color deviled egg project a couple of years ago, and it was incredibly popular. Well, it’s Easter again, and ya know what? This is STILL an amazing idea, and so much fun. 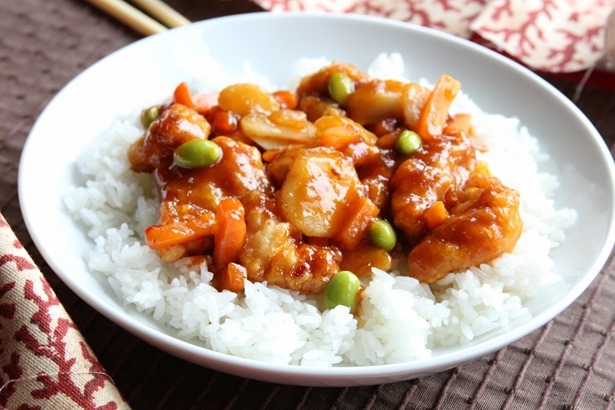 Plus, it’s as delicious as you want it to be. So…get in there and have some fun with it! 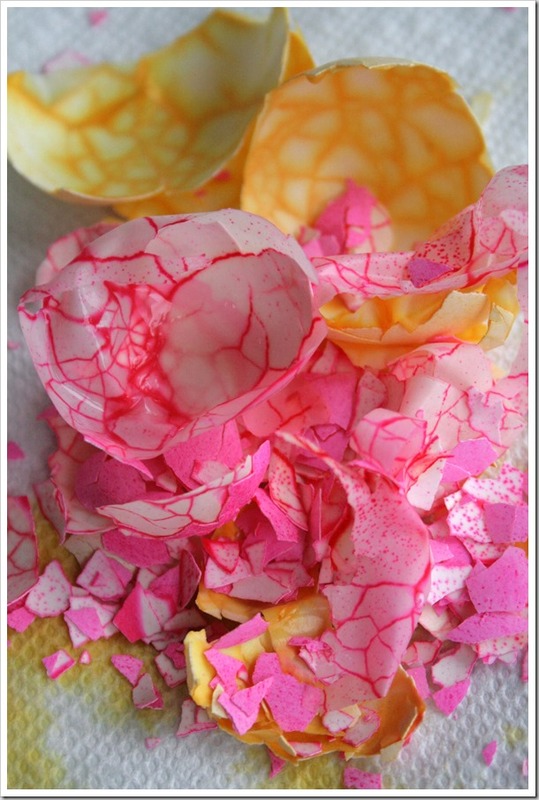 (and by the way, there’s an EXCELLENT tip below for how to peel the eggs. You can thank me later. I wish I could take credit for this idea, but alas, I can not. 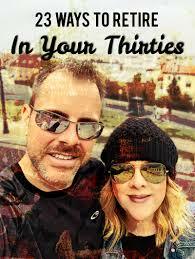 You see, a few years ago, when I was a new blogger, I participated in Tuesdays With Dorie. I loved that group, I did. It was because I met so many great people there, and they truly inspired me each and every week to learn, to bake, to experiment. I honestly believe it was that group that created my blog – or if not created it, at least facilitated it. It’s now my business, and I am so lucky to be able to do this for a living. One blogger in particular that I am happy to say I met, in person, and AT HER HOUSE, was Jayne, The Barefoot Kitchen Witch. Jayne is the real deal, y’all. 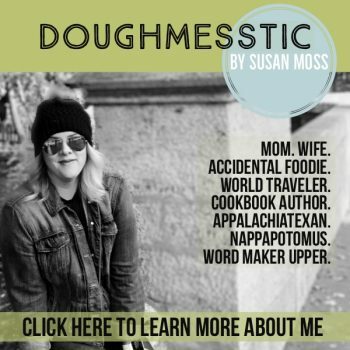 She can make, bake, pluck, render, and decorate just about any ingredient on the planet. Why she isn’t on the cover of a magazine, I’ll never know, as I can’t say there is another person on the planet with more cooking knowledge. 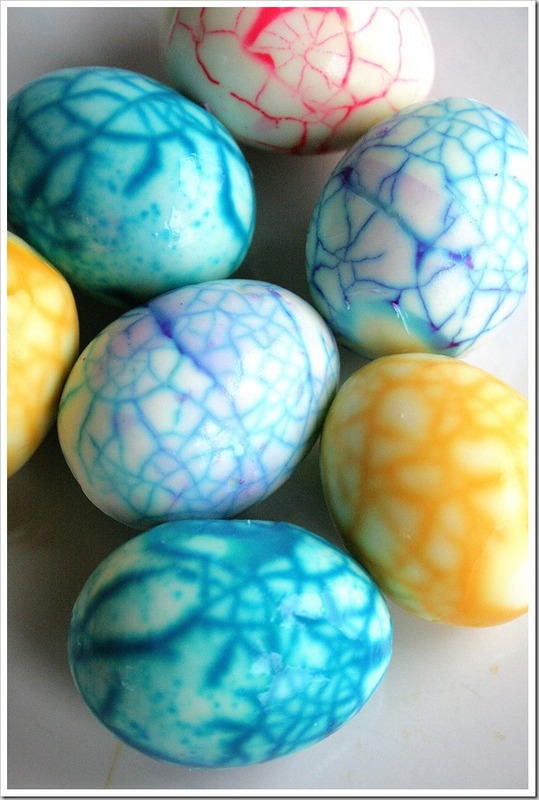 So anyway, Jayne made some crazy dyed eggs several years ago, and since then, I have been determined to make them. After I was asked to write a post for Safest Choice Eggs to lead you wisely into Easter, I knew this was the project for me. A brief trip over to Jayne’s site and I was thrilled to see that she had been redoing her own project time and again, trying new techniques. But then I felt like I was really cheating. And then I decided if Jayne could steal the idea from Chinese Tea Dying Egg Makers, well then, I could steal from Jayne. Sorry Jayne. But remember, you owe me. You posted an ASPIC in a guest post on my site. The concept is easy: Hard cook your eggs. Cool the Eggs. Crack the Eggs. 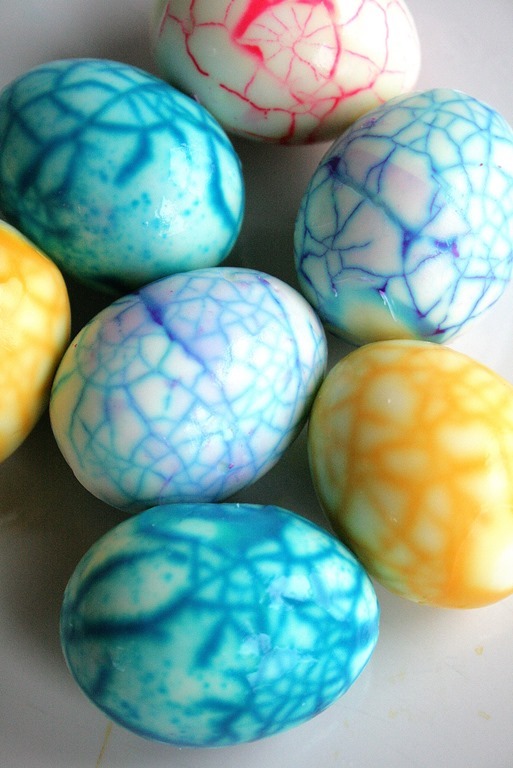 Dye the Eggs. Peel the Eggs. Devil the Eggs. Eat the Eggs. The eating part is the quickest, I won’t kid you. 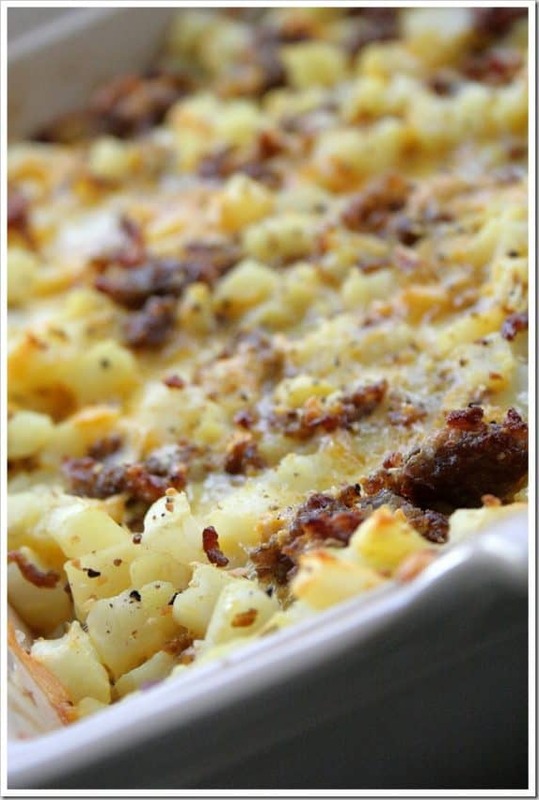 But here on some tips to make this as painless and rewarding as possible. Cooking. Hard Cooking an egg is not hard-boiling. Don’t hard boil. That does a yucky number on the eggs, and you want these to EAT, not just to decorate and hide. 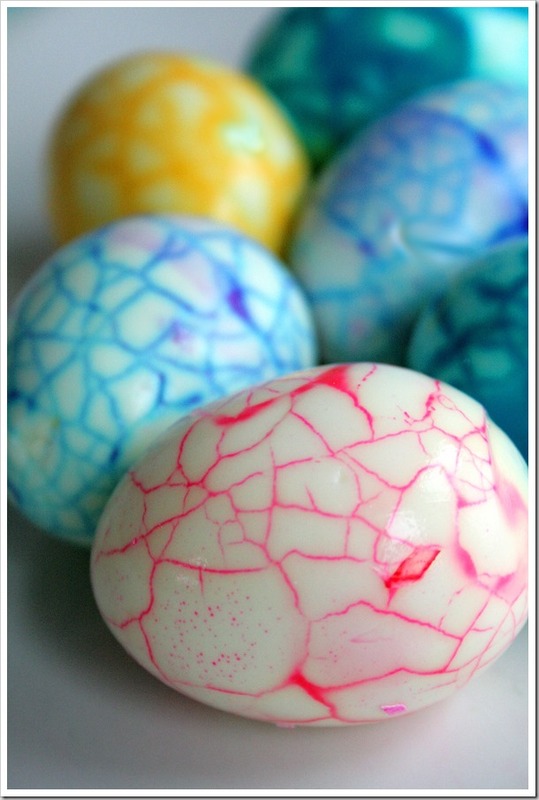 Therefore, place your eggs in a single layer in a pot, then completely cover with water. Do not salt the water. Bring the water and eggs to a simmer. Turn off the heat, cover with a lid, and allow to sit there for 17 minutes. Done. Non-rubbery whites and non-green yolks will be the result. Good stuff. Cracking. Allow the eggs to cool before you crack the shells. Why? Well, they’re hot! It hurts! Once they’re cool to the touch, roll them around on the counter to give them a few cracks. Dyeing. This is the fun part, at least for the kids. We let Seven pick out the colors, placed 4 colors in 4 separate mugs, then added the HOT water from the egg pot, because I am too lazy to boil new water. 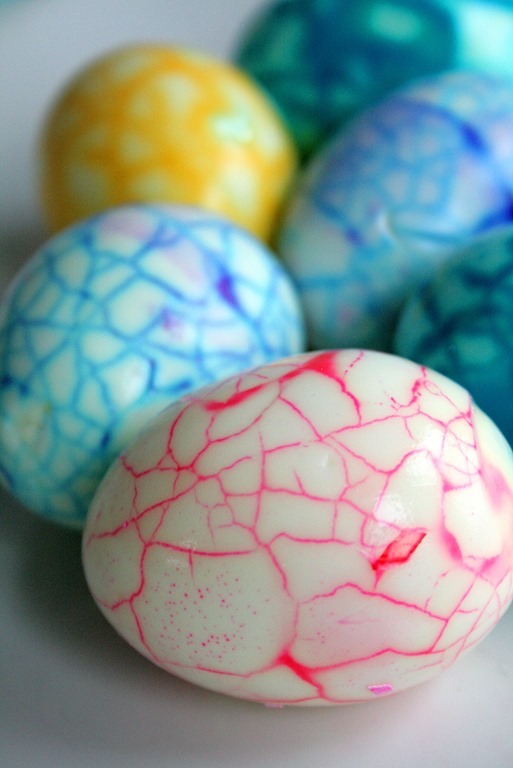 Stir the coloring, then place 2 cracked eggs into each mug. 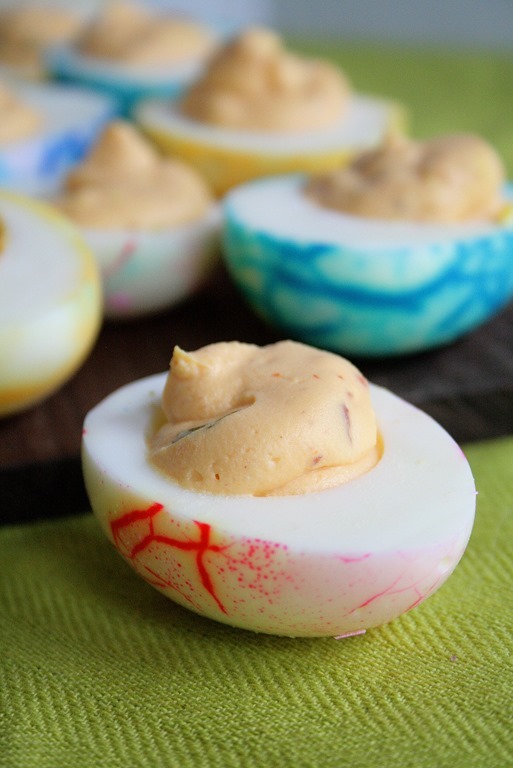 Place egg filled mugs into the refrigerator…don’t leave them out. They are eggs, after all. We left ours to color for about 3 hours. That worked. Know what else? 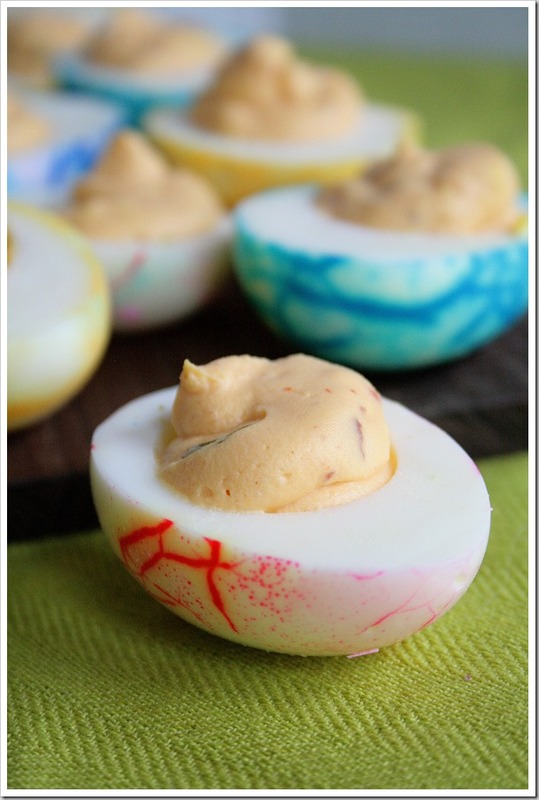 The hot water and food coloring worked great, no need for smelly vinegar that would have certainly tainted the flavor of the deviled eggs. Now you know. Peeling. The secret to peeling the dyed eggs easily is to ask someone to help you, and then pretend you have to go to the bathroom. Disappear for at least 27 minutes, claiming food poisoning or lady problems. No one will question this…no one wants to know. Deviling. Easiest part of all. 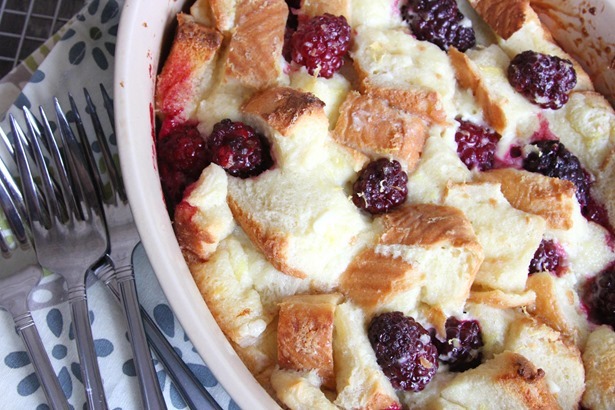 Place everything into a stand mixer, and beat it until it’s smooth. 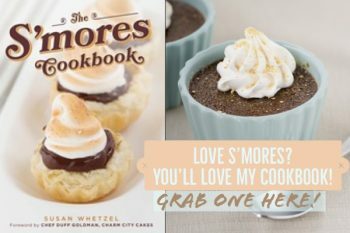 Add the filling to a piping bag – no fancy tip – as the fancy tips and this recipe don’t work well together. The bacon gets stuck in the little parts of the tip, and that’s not good for anyone. And there you have it! 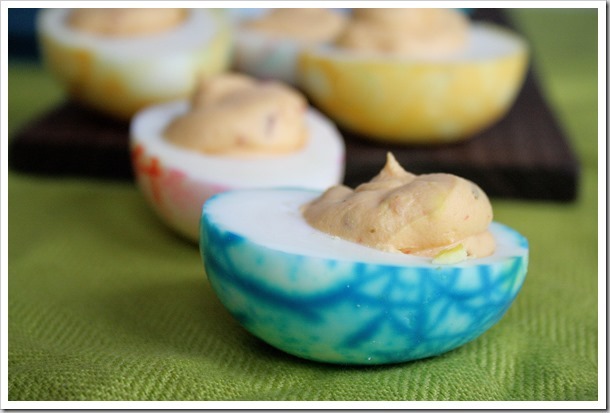 Fun, colorful, Deviled Easter Eggs that look great and taste great, too. 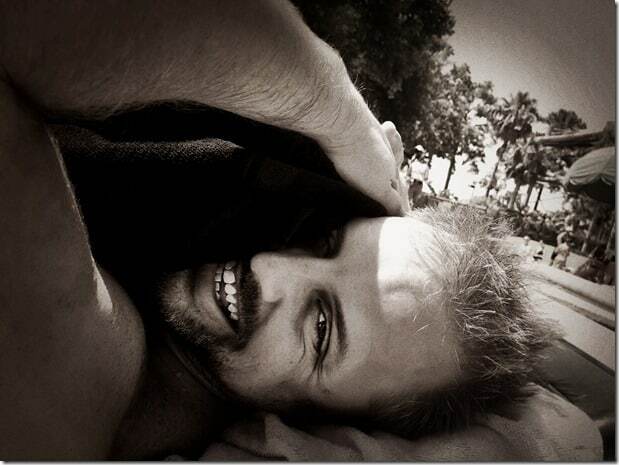 And don’t ask Jayne to guest post, unless you enjoy fish flavored Jell-o. Cut each egg in half and remove the yolk, placing yolks in a mixer bowl. Beat yolks until creamy. 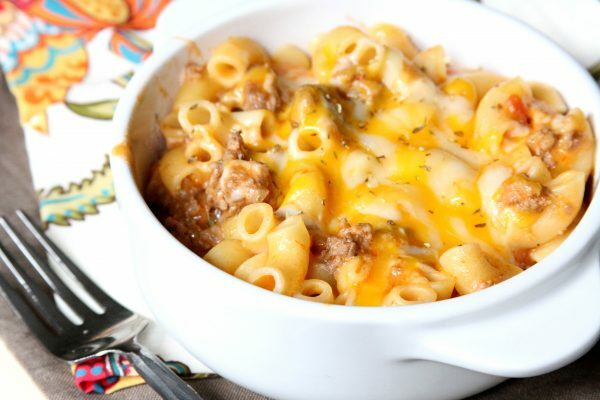 Add all remaining ingredients and mix thoroughly, about 5 minutes. 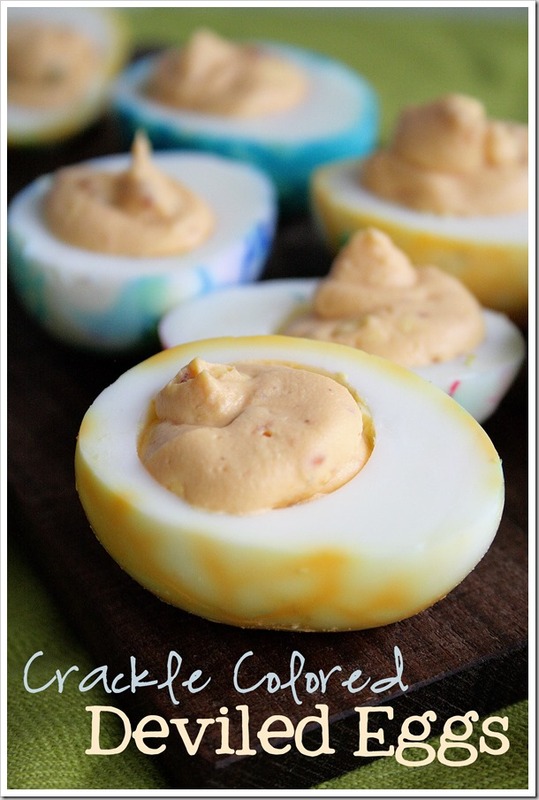 Pipe into each egg.